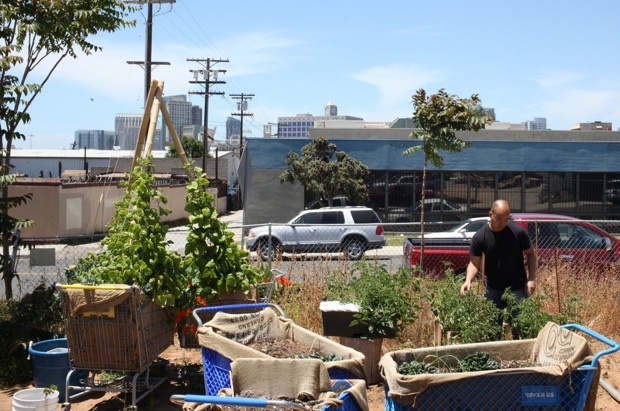 Farm Proper in the city’s Barrio Logan neighborhood. 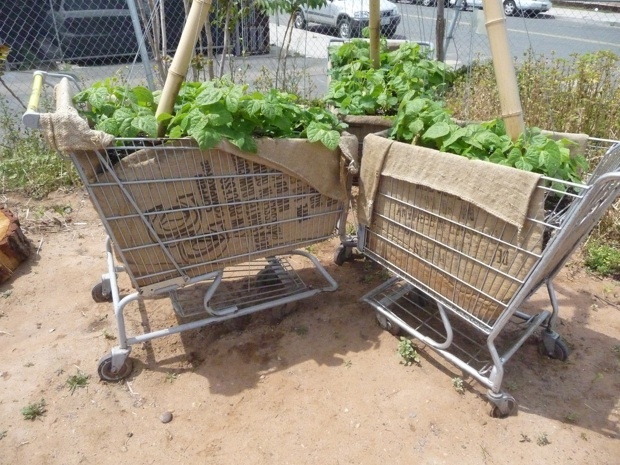 Abandoned carts gathered from the neighborhood have been lined with burlap sacks donated by a local coffee retailer and packed with plants. 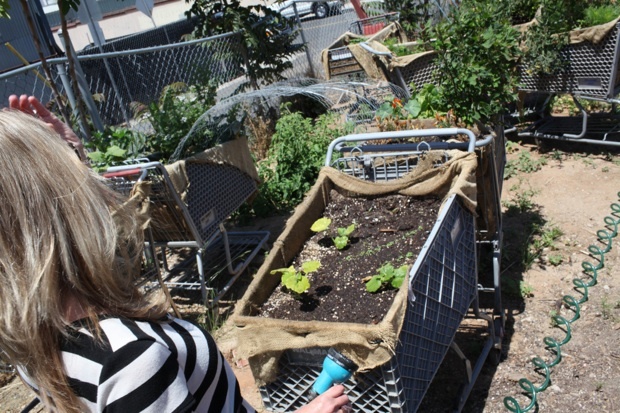 Carts deemed inoperable have been anchored permanently at the space, and in this case, planted into a kind of bean pole teepee. The image of the supermarket staple serving as a planter for fresh food serves up some pretty nice symbolism as well. It’s the meals-on-wheels element that really makes this kind of gardening exciting. One can imagine how banged-up carts could be collected from the streets, brought here for planting and then be wheeled away to permanently park at the homes of deserving families. Another idea, which was already demonstrated at a Farm Proper potluck, could bring healthy lunches to local workers: With the proper combination of crops, these mobile carts could roam the streets as super-fresh, pick-your-own salad bars.